These ALMOND BUTTER COOKIES will melt in your mouth. 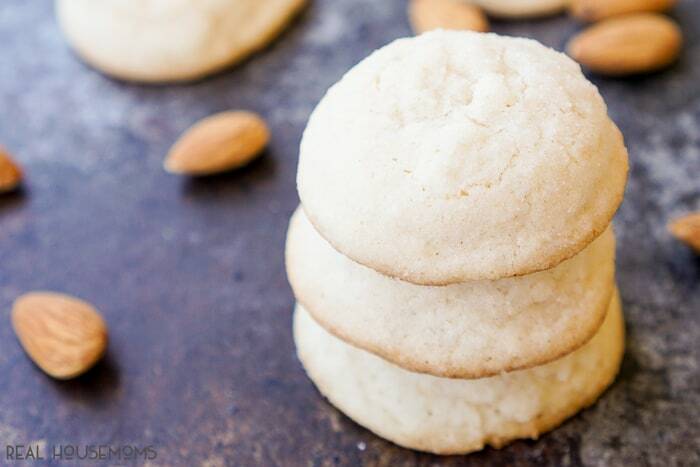 They’re deliciously sweet and super buttery and a touch of almond makes them perfect for fall! Now that fall is officially here, it’s time to start whipping up all those delicious fall treats and these Almond Butter Cookies need to be on your agenda! These cookies are made with simple ingredients that pack in some sweet flavor! After mixing up the dough, these cookies are dipped in water and then in sugar for a crispy outer shell that will make your mouth water. I love butter cookies, my grandfather always has a din of them lying around somewhere, especially during the holiday season. But nothing beats homemade and they’re so easy to make too, so why wouldn’t you want to! 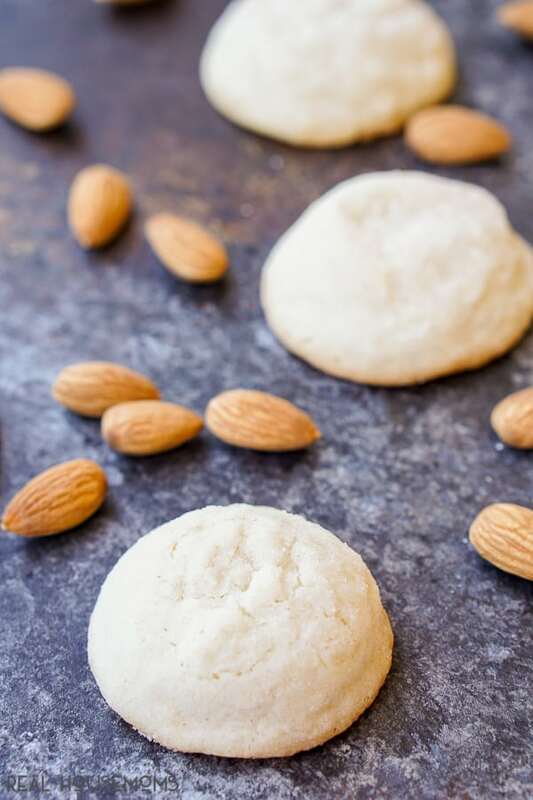 Traditional butter cookies almost melt in your mouth and when you add a touch of almond extract, well, they’re just divine! This recipe makes between 4 and 5 dozen cookies, which means it’s perfect for all those fall bake sales and holiday cookie swaps. 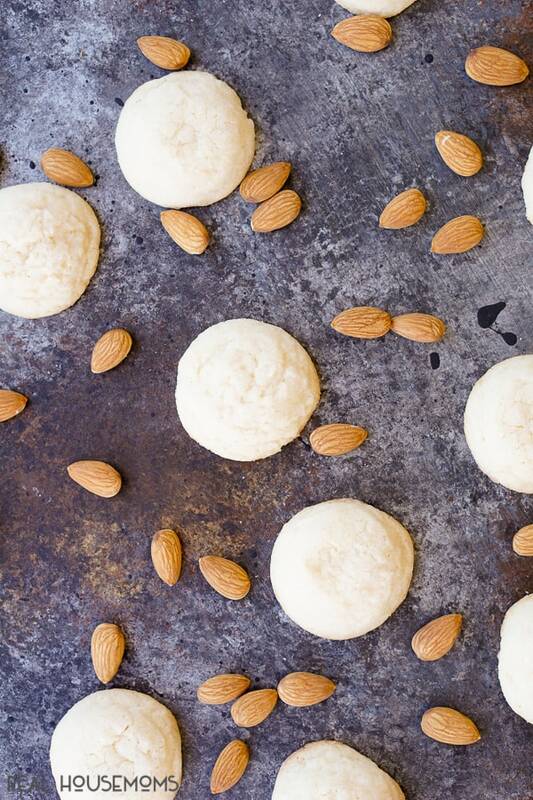 These Almond Butter Cookies will melt in your mouth. 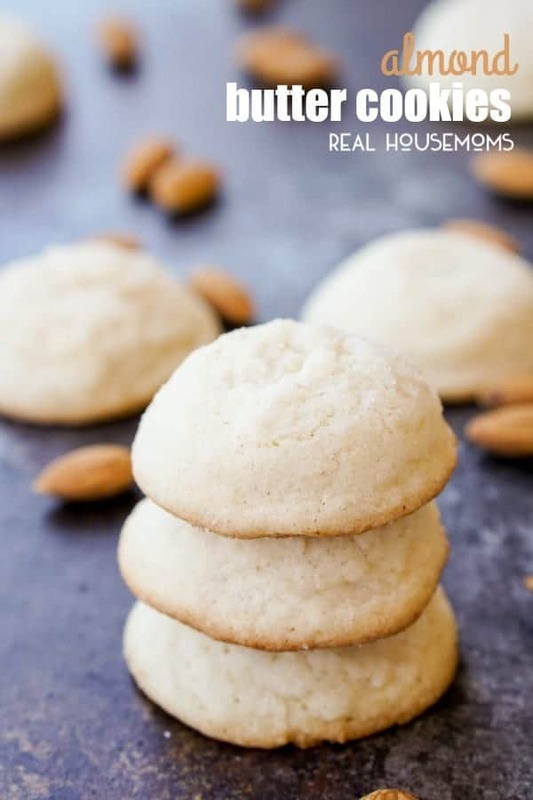 They're deliciously sweet and super buttery and a touch of almond makes them perfect for fall! Combine 1 cup of the sugar and the butter in a large bowl or stand mixer fitted with a paddle attachment. Beat at medium speed, scraping bowl often, until creamy. Add egg and almond extract and beat until well mixed. Add flour, baking powder and salt; beat at low speed until well mixed. Place remaining 1 cup sugar in another bowl and water into a separate small bowl. Shape dough into 1-inch balls and dip the top of each ball into the water and then into sugar. Place 2 inches apart onto ungreased cookie sheets. Bake 8-14 minutes or until edges are lightly browned. Do you think I can use almond flour instead of all purpose? Can I discard the egg in this receipe?? No. That will completely change these cookies.